Happiness is a relative term, some feel, getting a good job, is the key to their happiness, for some, it is a big house and for some, simple souls, it is as simple as enjoying a good meal, at a good place. 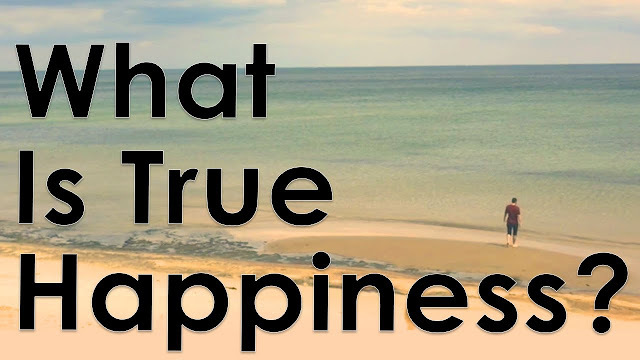 Have you realized once you get what you thought brings you happiness, are you happy for life? No- we have other reasons lined up, to make us, run for this so-called happiness. Your mind keeps you asking for more. A list is always, there that doesn’t end, even after continuous tick marks. Surprisingly, this is the case with the most successful person, too. One who we think has got it all, would have his own list, that he keeps on ticking his entire life. So is happiness just a distant dream? Well, not really. It is possible to live in a permanent happy state when you live in present. When, the list is missing, and you are enjoying what is presented to you. A beautiful morning, a lovely sunset, a nice & interesting job to keep you busy, loving family. Most importantly the key to happiness, is acknowledgment, gratitude, for life’s big and small moments. Saint Ram Rahim Ji, from Dera Sacha Sauda, exclaims, a person needs to express his gratitude to almighty, every moment, and that Almighty will bless you with more moments, and this cycle continues. The result, a complete life, full of real moments of happiness. In fact, this is what is implied by the slogan that the followers of Dera Sacha Sauda, greet each other with. You must have heard this, “Dhan Dhan Satguru Tera H Asra”. That is I am really thankful to you, my lord, and I am totally dependent on you, for all my tasks. 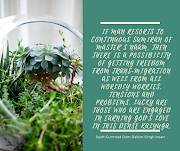 This also puts a person in “surrender" mode, whereby he surrenders to God, and He then has to make sure that his child’s work is carried out nicely. In other words, you can live to the fullest, by thanking God every moment and asking for his strength and asking him to show the path or better still, ask him to guide you every moment, as you are dependent on him, like a small baby and he is Father of the universe. He will surely hold your finger, for the rest of your life. 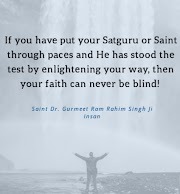 Baba Ram Rahim’s followers have been known to use this slogan and completely abide by it, leaving all the worries on the creator, I have seen them, enjoying every obstacle life throws at them. Carrying on with their duties and caring for society, these Dera Followers, have always set an example and almighty surely takes care of all their worries and tensions. 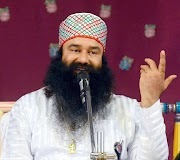 Let us shed our inhibitions and follow these wonderful methods shown by Baba Ram Rahim Guru, of thanking God, every moment, and surrendering to him, for what will follow next.